Today, we are announcing a brand new feature for our premium users. Episode Calendar Lists! To create a list is simple, hit the create list button on the top right corner of the page and you will be taken to next screen allowing you to create a title, and also order your shows! The search function will work just like how you would search for a show on the sidebar. Once you are done currating your awesome list, simply check off the "published" box under your title and hit save at the bottom. 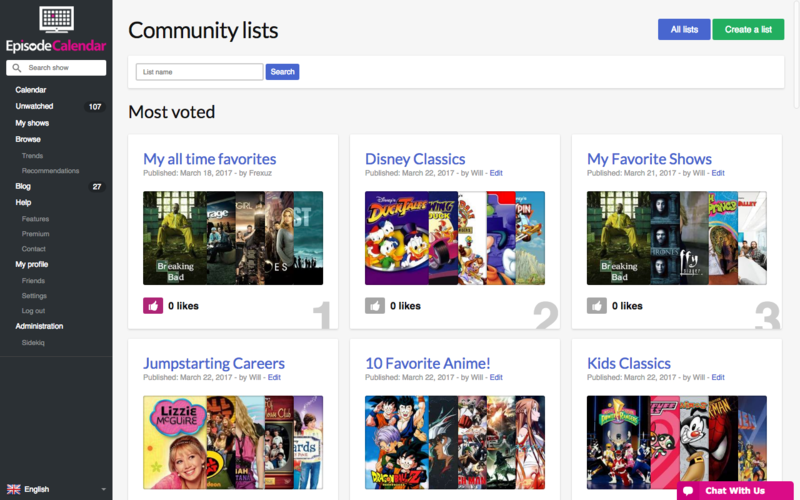 You can also like the most recent lists created, the most favorite lists will show up at the top of the lists homepage! 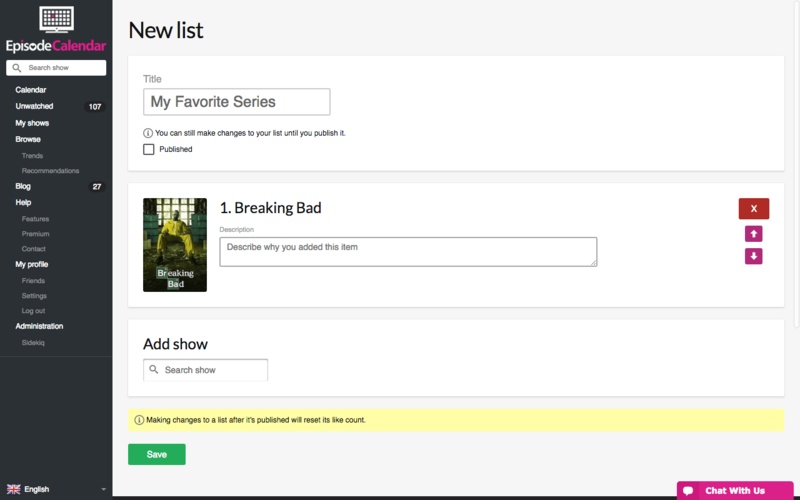 With lists we hope that our users will be able to share and tell the world what your favorite shows are from last year, or create lists to share an opinion, like favorite opening sequence or scariest dramas of all time! Lists can be anywhere between 5 to 100 entries so get those creative juices going and tell us what your favorites are!